On a hill above the Po Lin Monastery sits the Tian Tan Buddha (天壇大佛), also known as the Big Buddha, the world’s biggest sitting bronze Buddha statue located outdoor. The construction of a statute begun in 1990, and was finished in 1993. It is named Tian Tan Buddha because the statue is built on a base platform of a “tian tan” (altar of heaven). This concept is adopted from the Temple of Heaven in Beijing. 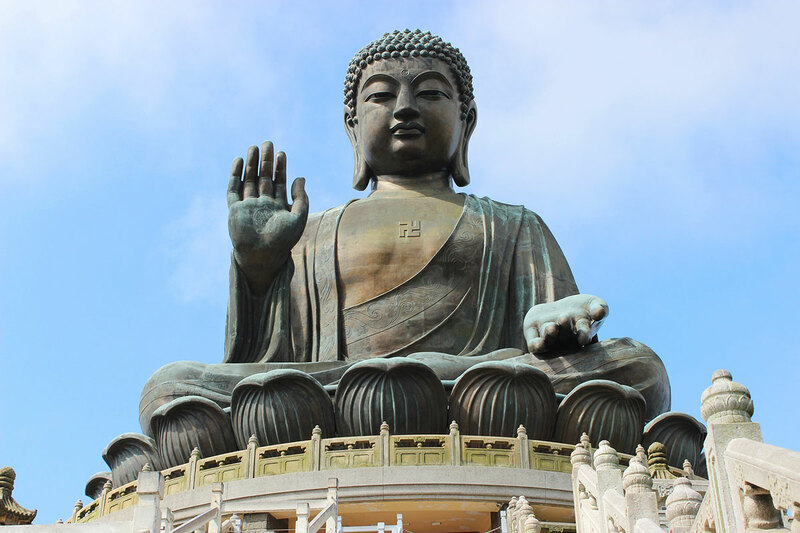 Tian Tan Buddha is 34 meters tall (including base), made of bronze and weighs over 250 tons. Buddha’s right hand is raised as an Abhaya Mudra (no fear mudra). The Abhaya Mudra symbolizes protection, peace, benevolence and the dispelling of fear. Buddha’s left hand is placed on his thigh with his palm held out uppermost and the fingers pointing downwards. This is known as the Varada Mudra (favorable mudra) signifies offering, welcome, charity, giving, compassion and sincerity. The Tian Tan Buddha faces north, which is unique, as Buddha statues usually face south. Underneath the Buddha statue, there is a three-storey exhibition hall: The Hall of Universe, The Hall of Benevolent Merit, and The Hall of Remembrance. Exhibition includes number of relics, such as: Buddha’s relic (part of the Buddha’s preserved remains), The Bell (six tonnes ring designed to ring 108 times every day, symbolizing the clearance of 108 worries), paintings, Hua Yan Dharma Preaching, Statue of Ksitigarbha carved out of 500 year old Phoebe nanmu wood. Outside of the Buddha statue, there are six bronze statues of Six Devas, each holding offerings to the Buddha: flowers, incense, lamp, ointment, fruit, and music. These offerings symbolize charity, morality, patience, zeal, meditation, and wisdom. From the base, there are 260 steps leading to the Tian Tan Buddha. It is worth climbing to the top for a closer look at the Big Buddha and fantastic views over Lantau Island. 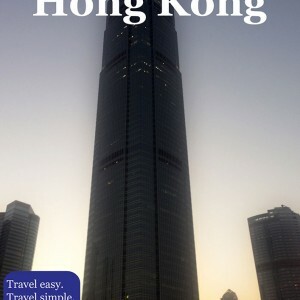 Click here to see how to get to the Ngong Ping and Tian Tan Buddha.